Adobe’s Rosewood, released in 1994, is a design based on Clarendon letterorms. The typeface is available in two variants, the regular version and the fill version and the former is designed to overlay the latter for two-color printing. 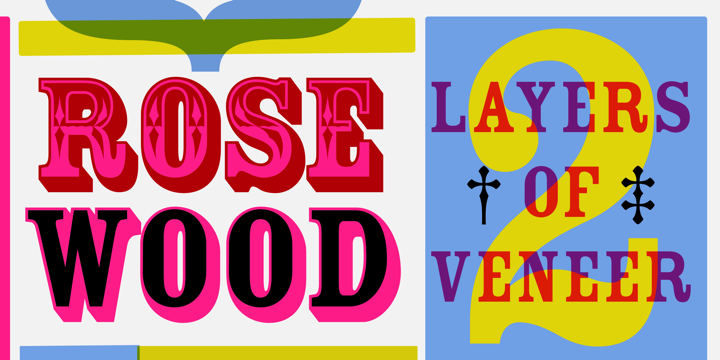 You can buy and download Rosewood at Myfonts.